So hard to believe my girls are getting so big!! 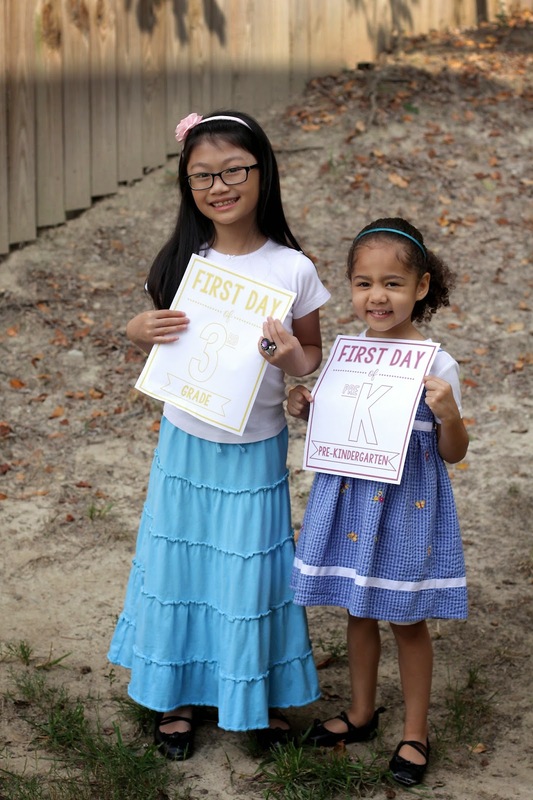 Elizabeth is in 3rd grade this year and Caroline is in PreK. And yes, we still homeschool and I still love it!! I am daily thankful that the dreams I dreamed (even as a little girl) of being a wife, mother, AND teacher have all come true. I am so blessed!! Carina, I sent you an email. I do hope it's the correct address!! It is so good to "see" you on my long forgotten blog!! I hope you and your family are doing well!